Home » Forex Blog » JAFX Review: Is It A Trusted Broker? For the sake of clarity, I should state that Forex is not a completely new concept for me. My relationship with John Anthony existed well before JAFX and it dates back to 2014. It was then that a friend presented binary options to me and I began optimizing my profits. That same friend who introduced me to FX trading helped me get over my apprehension of trading Forex, and the rest is history. Today Forex is my primary trading method, and while I have not yet been able to replace my day job, becoming a professional trader no longer seems a goal that is out of my reach. 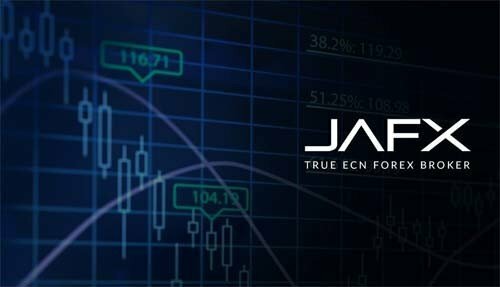 Even though Forex was a foreign concept to me once upon a time, the benefits of using the JAFX platform were obvious even when I started in 2015. Not only were the spreads quite attractive, but its wide variety of options and low minimum deposit of $10 made JAFX an obvious choice for me. As I began, I also knew that I didn’t want to risk big amounts of money, so being able to trade with lot sizes as small as a 0.01 was very important. Even though I now trade at much higher volumes, the flexibility of JAFX remains unparalleled, particularly for those who are just getting into this practice. Crucial for me was the creation of a demo account. When I first started, the demo account could only be created through MT4, but the Web Trader offered nowadays is even simpler. One can create an account in two easy steps and keep it open to model new strategies without risking real money. I highly recommend that all users begin with a demo account and reach out to the customer service staff to clear up any questions that may arise. Demo accounts can be incredibly useful in those initial days when you are becoming familiar with the inner workings of trading. They are a safe environment to try out strategies and validate your trading choices. Another great feature is the auto-trade account (PAMM) and the options it allows. Even though I have successfully traded in Forex, I do still allow for some auto-trading. The site is very easy to navigate and it presents snapshots of options available, gains, drawdown, required deposits, associated fees, performance and many other metrics. If you prefer that someone assist in your trading, this is a great option. At this time, there are gains of over 40% posted on the site. This is a great return to begin with and even better if you don’t have to do the trading yourself. If you are more interested in trading manually, then the ECN account is for you. This account features no re-quotes and a low latency, with an average spread of 0.6 and all types of trading strategies are allowed. The commission is $4 per lot, round turn, which is very affordable, particularly without a dealing desk. At the time of this writing there are nearly fifty pairs available, which is a wide variety for investors of all styles, and the maximum leverage is 1:500. It would not be surprising to see more options being added to the platform, but there is already quite a diverse offering in place. The set-up was quite simple. Similar to other Forex brokers, you will be required to submit proper identification and verification documentation, along with your Know Your Customer package. These are not required for demo accounts, but live customers must submit and be approved prior to using their account. In my case, all documentation was reviewed and approved in less than a day, which is a great turnaround. Once that happened all that was left was to fund my account, which I did through a wire transfer in order to avoid fees and because I felt it was the most secure method. At a later date I added funds through Bitcoin; which was also done at no additional fees. In the same way I funded my account, I was able to easily withdraw funds via wire transfer and Bitcoin. In my case, my profits were deposited within 2 business days following approval. If you are a non-US user, you can look into Skrill for deposits and withdrawals. You are also able to use debit and credit cards, but those come with additionally fees if you are in North America, which is why I didn’t use them. The payments department is available to answer any questions you may have about the most cost and time-efficient way to withdraw funds. When I first started they were incredibly helpful in walking me through the process until I became more familiar with it. As a result, my deposits and withdrawals were achieved without any delay. Another perk offered by JAFX is that of affiliate accounts and asset management. If you have an EA to offer, I encourage you to speak to their support staff and discuss it with them for more information. While I am not yet ready to become an asset manager, I do use the affiliate program and often refer friends and family. This is an easy way to earn some income by simply referring others to the trading platform that I already stand behind. Income generated from referrals can easily be added to your trading account and withdrawn through the regular withdrawal process. JAFX has been a very important tool in my trading. From the moment I signed up, it has been user-friendly both in its design and its support. Trading conditions are reliable and efficient and there are multiple channels for support should you need them. Even though there are many platforms out there, I found John Anthony and his team the most suitable for my needs and level of expertise. The guidance provided, along with an easy to use platform is ideal. As such, I would highly recommend at least creating a demo account and having a look at what they have to offer.